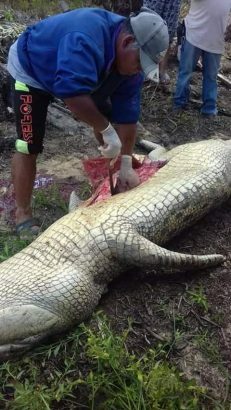 Pieces of human bones and clothes have been found inside a crocodile, which was believed to have killed an Indonesian plantation worker eight days ago. 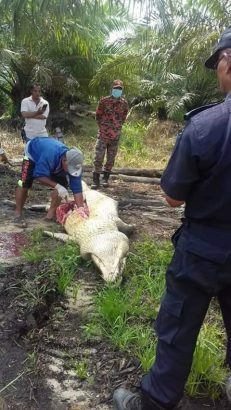 The crocodile was caught and culled with the help of a bomoh, a spokesman of the Fire and Rescue Department (Bomba) said on Sunday, March 17. 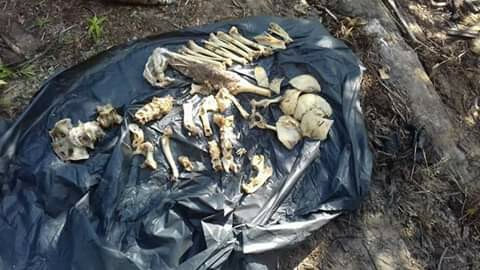 Pieces of human bones and torn clothes, believed to be those of Indonesian Yosep Tesu were found inside the stomach of the five-metre crocodile, the spokesman said. He added that seeking assistance from the local bomoh was a last resort by the search and rescue team.